In the quest to explore the remarkable diversity of microbial life on Earth, an international team of scientists has identified marine bacteria that can “eat” butane and propane in natural gas, metabolizing them in a way never observed before—in the absence of oxygen. Scientists have known since the beginning of the 20th century that microbes consume hydrocarbons, a main constituent of natural gas, as efficiently as dogs chomp on meat—as long as they could use oxygen in the process. In the late 1970s, scientists figured out that certain microbes can break down methane (CH4)—the largest ingredient in natural gas and the simplest hydrocarbon—without oxygen, and in the last few years, they finally found the microbes that could do it. But what was eating the other hydrocarbons in natural gas, such as ethane (C2H6), propane (C3H8) and butane (C4H10), and how were they doing it? 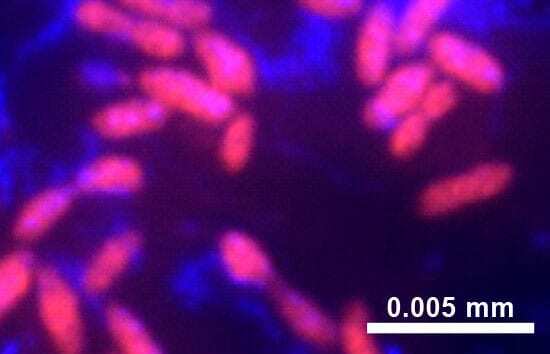 The study, published online on Sept. 19, 2007, showed that a close relative of a relatively common type of marine bacteria has carved out an ecological niche, using only propane and butane to obtain carbon and energy, but without oxygen. “From a microbiological point of view, to isolate any organism that does something that hasn’t been shown before is significant,” Sievert said. The study began nearly a decade ago when Sievert was a postdoctoral fellow working with Friedrich Widdel—who spearheaded the study—at the Max Planck Institute for Marine Microbiology in Bremen, Germany, along with Olaf Kniemeyer, first author of the Nature publication and a Ph.D. student at the time. The research team also included scientists from GeoForschungsZentrum, the University of Hamburg, RWTH Aachen University, all in Germany, and the University of Georgia. 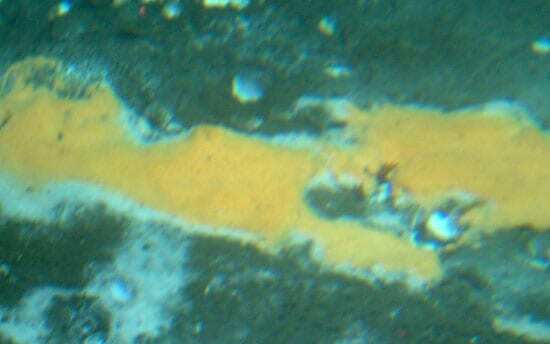 The team collected seafloor sediments that were anoxic (devoid of oxygen) from the Guaymas Basin in the Pacific Ocean and from the Gulf of Mexico—places where heat and pressure have squashed and cooked the tiny remains of plants and animals into different-sized chains of carbon and hydrogen atoms called hydrocarbons. These hydrocarbons include natural gases, which build up deep in the seafloor (or under the crust in certain terrestrial environments) and occasionally “seep” through the sediments, sometimes to the surface. “The biggest challenge to finding these bacteria is that you have to have a lot of patience,” Sievert said. In three to six months, the amount of gases went down and the number of microbes went up—so as the scientists suspected, some microbes were eating the short-chain hydrocarbons without oxygen. The bacteria grew very slowly (by bacteria standards), Sievert said. Whereas the bacteria in yogurt, for example, divide every half hour, these mysterious bacteria divided at most once every three days. Over time Kniemeyer saw evidence that the microbes were indeed consuming hydrocarbons without oxygen, and he eventually obtained a pure culture of the microbes—which is “a considerable feat,” Sievert said. It involves tedious steps of diluting out the sediments until only the dominant bacteria remain, he explained. A closer look revealed that microbes of various shapes and sizes, including spindle- and oval-shaped cells, were consuming the natural gas. That’s when Sievert sprang to action. His job was to use molecular methods—gene cloning, sequencing, and then phylogenetic analyses—to identify the unknown microbes by their DNA and determine where they lie on the tree of life. DNA analyses indicated that one of the dominant microbes were oval-shaped cells belonging to a group of bacteria called Deltaproteobacteria. These bacteria are frequently found in the marine environment, including hydrocarbon seep areas. Their modus operandi of eating hydrocarbons without oxygen reflects a “novel biochemistry,” Sievert said. They use sulfate instead of oxygen to respire. In the process, they convert sulfate (SO4) to hydrogen sulfide (H2S), and oxidize the short-chain hydrocarbons into carbon dioxide (CO2), Sievert said. “These bacteria might actually be a nuisance in reservoirs used to store natural gas,” Sievert said, because they produce hydrogen sulfide when they consume the natural gas. Hydrogen sulfide is toxic to humans; it has to be removed from natural gas in a complex purification process before the gas is in a form people can use to heat our homes, light our gas grills and lighters, and fuel our cars. And don’t worry about the bacteria munching up all the sources of natural gas that we have on Earth, Sievert said. These bacteria need very specific conditions in which to make a living—such as the presence of sulfate, which isn’t even found in terrestrial environments or deeper in the ocean where many natural gas reservoirs are located. Another intriguing possibility is that these bacteria may have played a role in the early evolution of life on Earth. Long before plants used photosynthesis to create organic matter destined to become hydrocarbons, chemical reactions below the seafloor were likely producing organic compounds such as methane, propane, and butane that could sustain microbes like those identified in the study, Sievert said. 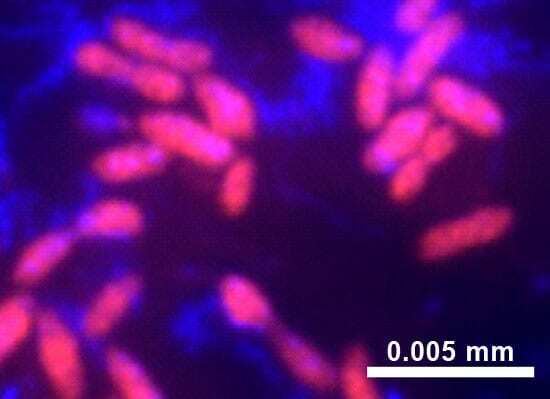 In addition to the oval-shaped Deltaproteobacteria, the scientists found that the spindle-shaped bacteria they grew, which belong to a different bacterial lineage, can also metabolize propane and butane without oxygen. Another surprise was not finding any archaea, another domain of microbial life. These microbes can also degrade methane without oxygen, so the team expected to find archaea munching on the propane and butane, too. Sievert said, “It might just be a matter of time before scientists find archaea” that can metabolize propane and butane without oxygen. Sievert just received funding from the National Science Foundation to follow up on the findings. 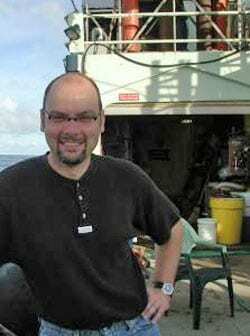 Together with Jeff Sewald of WHOI, Widdel, and others, he will head back to the Guaymas Basin to search for the newly discovered organisms in their natural environment and learn how abundant they really are. They will also search for those other microbes that might be having the same thing for dinner: natural gas, hold the oxygen. Stefan Sievert, a microbiologist from Woods Hole Oceanographic Institution, use molecular methods?gene cloning, sequencing, and then phylogenetic analyses?to identify the unknown microbes by their DNA and determine where they lie on the tree of life. "Deep-sea Tubeworms Get Versatile 'Inside' Help"